At BTC I’m sometimes guilty of being a bit too earnest: my patronymic first name is, after all, Ernest. This is a useful trait in the trade not unappreciated by Tom, but if it causes me to spend too much time cataloging an unworthy book, he rightly sees it as an enthusiasm to be discouraged, or, when not properly curbed, then punished. 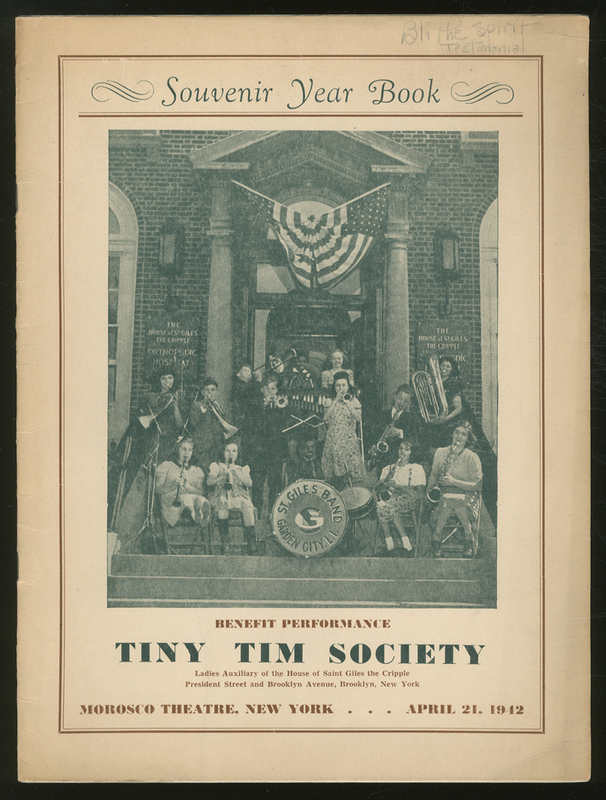 Thus Tom had me catalog this week a Souvenir program for a 1942 benefit performance on Broadway for the Tiny Tim Society, a Ladies Auxiliary of the House of Saint Giles the Cripple in Brooklyn. 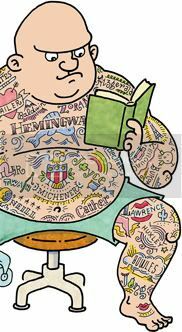 A daughter fair, So buxom, blithe, and debonair. Of course Coward did not have Milton in mind but The Blitz, and the play was a hit. When I look again at the tiny tots balanced in twos on the steps of The House of St. Giles the Cripple, arrayed before the Hospital’s heavy Georgian façade, I see the specter of Texas Governor Rick Perry in his cadet uniform hovering above.